In Dream Room we aim to provide a loving and caring environment for the children to explore. The Dream Room caters for children between the ages of 0-2 years. We can accommodate 12 children per day and have 4 educators. We strive to have positive relationships with the children and families by having open communication and respect for each other; we always make sure our children’s voices matter, to get to know their interests and support their development. Our main priority is to help our children to settle and feel comfortable with us, their educators. We believe that each child is unique in their own way. We know that each child is different and has different needs, therefore our goal is to provide a learning environment that accommodates all children in the room and that meets each child’s needs. 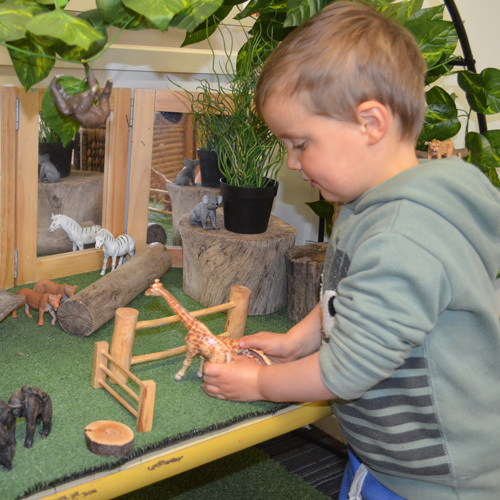 We believe that having the choice of indoor and outdoor play at all times is very important for our children to extend their learning and to give everyone space to explore and extend children’s physical and mental growth. We as educators of Dream Room aim to support and encourage our children to learn and extend their interest in learning. In the Hope Room, we acknowledge and value the development of in each child. The Hope Room caters for children between the ages of 18 months to 2 years. We can accommodate 16 children per day and have 5 educators. We believe that the early years in a child are vital as development during this stage is rapid. Early years education plays an important role in the development of a child and meeting his/her current needs as well as shaping their future. As early childhood educators we believe in providing high quality early years education and care. We believe this can be achieved by creating a physical environment that is safe, secure and supported at all times while being flexible and adaptable to the needs of each child. We believe that children come to understand more about the world around them through their play and experiences. We believe that each child is unique and that it is important to provide a wide variety of open-ended resources within the environment to give each child the opportunity to explore, investigate, create and learn by participating confidently with other children and also with their educators. We believe in diversity and in the inclusion of each child’s culture. We believe in working in partnerships with parents. This enables us to form strong, respectful bonds, which allows us to share knowledge, develop ideas and empowers us to work collaboratively to promote each child’s agency. The Early Years Learning Framework and National Quality Standards influence our philosophy. We as educators of the Inspire room take pride in providing a healthy, safe, secure, positive, home-like environment for all children and their families. The Inspire Room caters for children between the ages of 2-3 years. We can accommodate 16 children per day and have 6 educators. We believe each child is different and has different needs, therefore we aim to create a learning environment that accommodates for all children in the room. We guide and respect children as competent, capable and active participants in their learning and development. We support children’s learning by observing their interests, their involvement in the program and by listening to their ideas. We are then able to extend their learning by introducing new experiences, new knowledge and encouraging development of new skills. We believe that it is important for the children to have access to indoor/outdoor play at all times. We provide all children with time and space for unhurried, unstructured free play outdoors in our natural environment that inspires curiosity and nurtures their mind, body and soul. 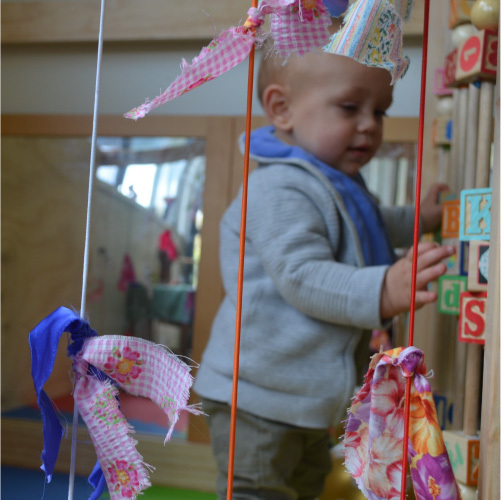 In the Kindness Room we believe that the early years form the foundation for lifelong learning. We value each child as a unique individual and aim to support their learning and development, specific to their needs. The Kindness Room caters for children between the ages of 3-4 years. We can accommodate 16 children per day and have 3 educators. Our educators aim to provide a happy, relaxed and secure environment to ensure every child feels safe. We aim to stimulate each child’s interest to learn to enable them to grow and develop to their fullest potential. A sense of belonging and comfort is provided by sensitive and caring educators that view each child and their family’s needs individually, and who teach understanding and acceptance of all children. In the Courage Room, we believe that the environment we provide and the relationships with our families are important factors in ensuring the best possible outcomes for our children. The Courage Room caters for children between the ages of 3-5 years. We can accommodate 33 children per day and have 5 educators. 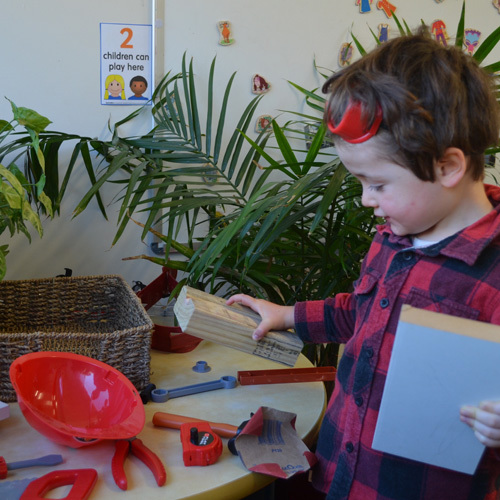 Our room is set up to create an inviting and stimulating play space, with age appropriate activities that challenge the children in their development. We support the children to develop creativity, imagination and experimentation. We promote and encourage a sense of kindness, tolerance and inclusiveness within the children. The children’s ideas are listened to and their ideas acknowledged which ensures they feel safe and comfortable. We enjoy collaborating with the parents to gain an understanding of each family’s beliefs, cultural diversity and the development of their child. We provide documentation to share with our families about their child’s learning and experiences they have participated in. We encourage families to provide information about their child and the stages of their learning. We believe it is important to offer stimulating learning environments that play an integral role in promoting children’s learning. 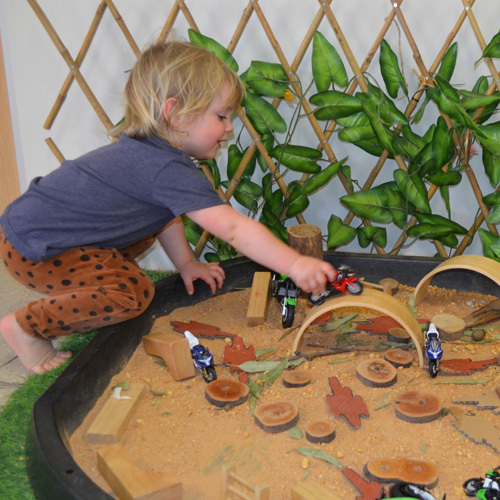 These environments include a wide variety of purposeful, open ended, natural play based learning experiences and materials that allow children to have long periods of uninterrupted play. 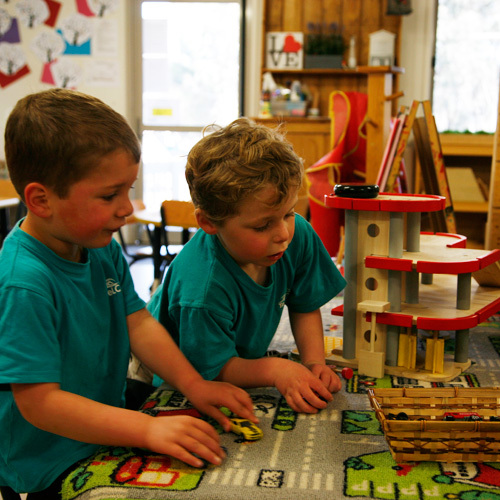 In the Friendship room, we have an open ended, play based program as we believe play is the optimum way children learn in early childhood. 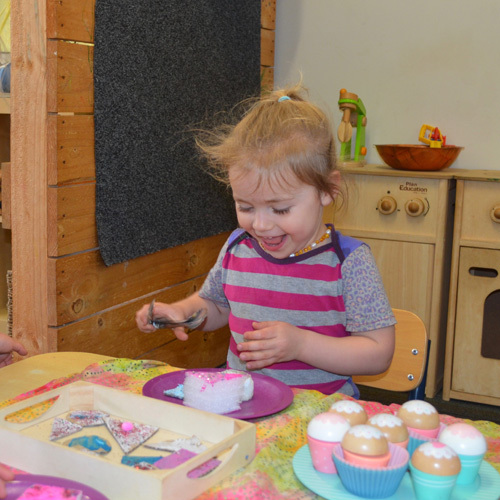 The Friendship Room caters for children between the ages of 4-5 years. We can accommodate 22 children and have 3 educators. All children should be able to reach their potential, feeling both safe and challenged. Educators work as a collaborative team to facilitate children’s learning through open ended questioning, demonstrating, responding to children’s ideas and taking advantage of spontaneous learning opportunities and incorporating these into the program. independence, persistence, resilience, tolerance, problem solving, confidence, respect and competence. We would like to be enthusiastic participants in their learning, to be independent and be willing to have a go in a safe and comfortable environment.